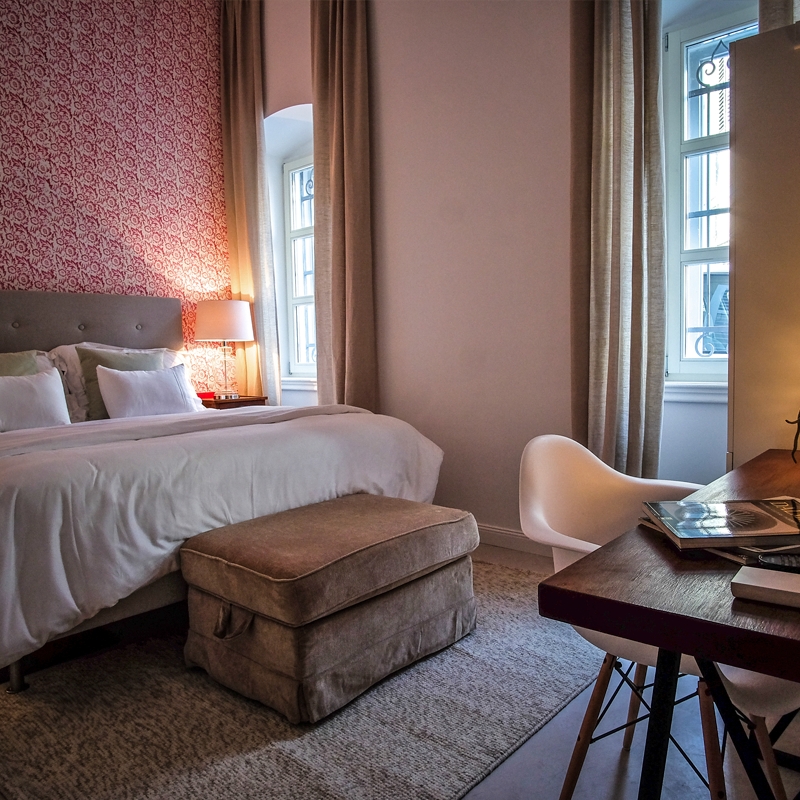 Indulge yourself and stay in our elegant space inspired by the classic style of the villa, just steps away from the Golden Gate of Diocletian’s Palace. 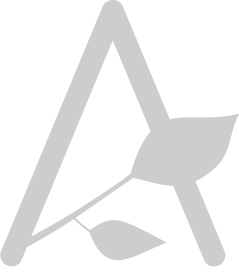 Gardin Apartments is a family-owned dream-come-true. We are in love with Split and especially with this fantastic and unique building. Our apartments were refurbished with exceptional care, combining the hottest trends in modern design with the historical background of the place. Attention to details, functionality and high standards of comfort were always in mind during the renovation process. 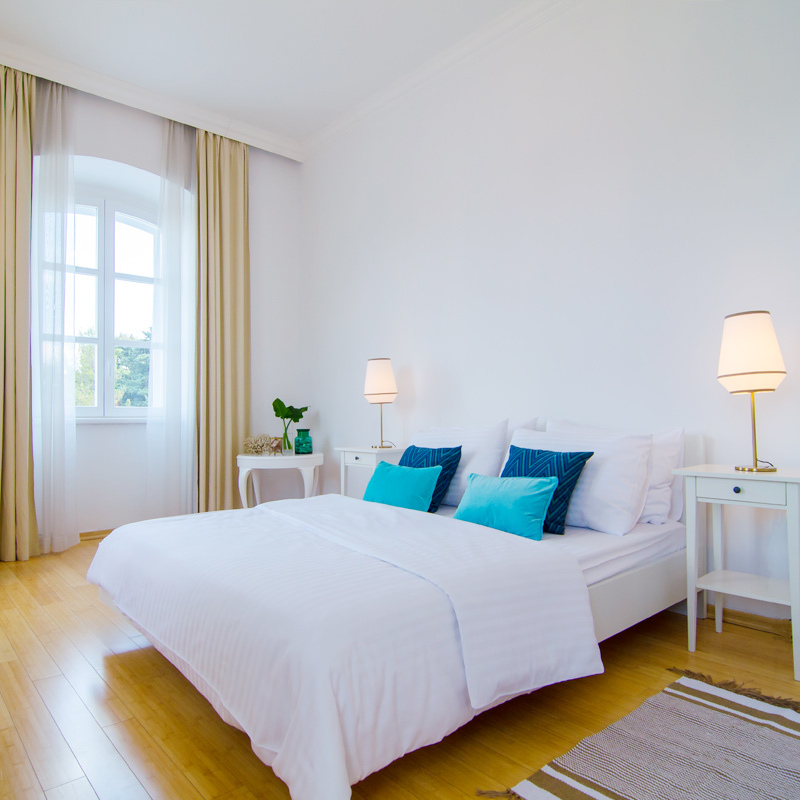 This comfortable room with an en-suite bathroom is perfect for a getaway in the heart of Split. It features a high quality queen size bed with a carefully chosen mattress to provide you the best sleep during your holidays. 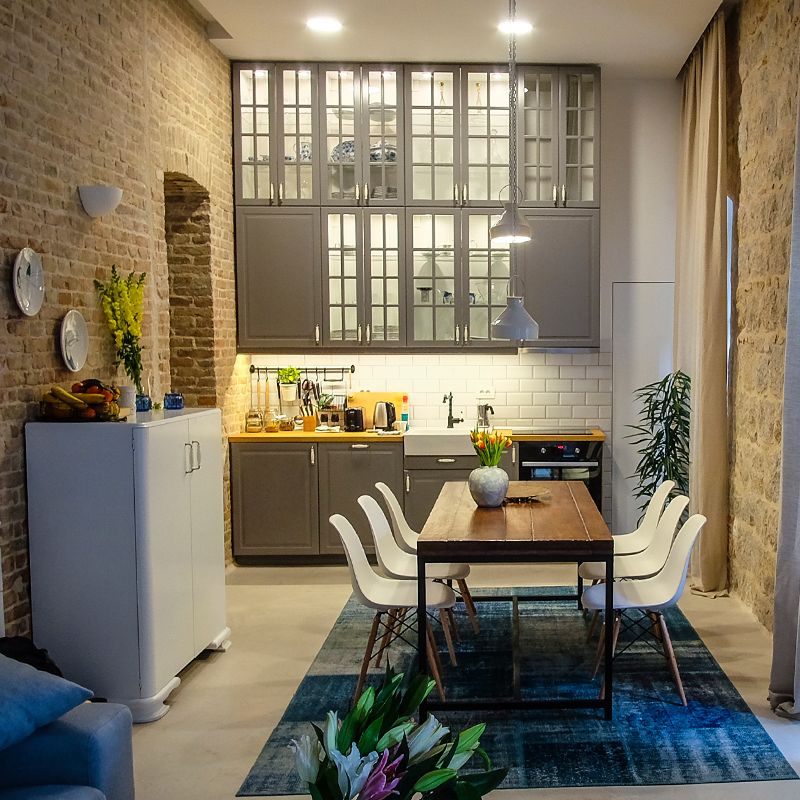 Completely rebuilt in 2016, this fabulous apartment was awarded 5 stars by the Croatian Ministry of Tourism. It consists of 75 sqm. and it has two bedrooms, two bathrooms and can comfortably accommodate up to six people. With it's 90 square meters and astonishing views of its gardens, the old town and a bit of sea, this second floor apartment offers you very spacious rooms with high ceilings and lots, lots of sunlight. The building, originally built in 1881 by a prominent aristocratic family of Split, faces the remains of Split’s fortified 16th-century walls, constructed to protect the city from the Ottoman Empire. Gardin Apartment 1 used to be a ballroom, where concerts and theatre plays were held. In fact, as the actual Croatian National Theatre building was to be constructed more than a decade later, this means that our building was the site of the first working theatre in Split! 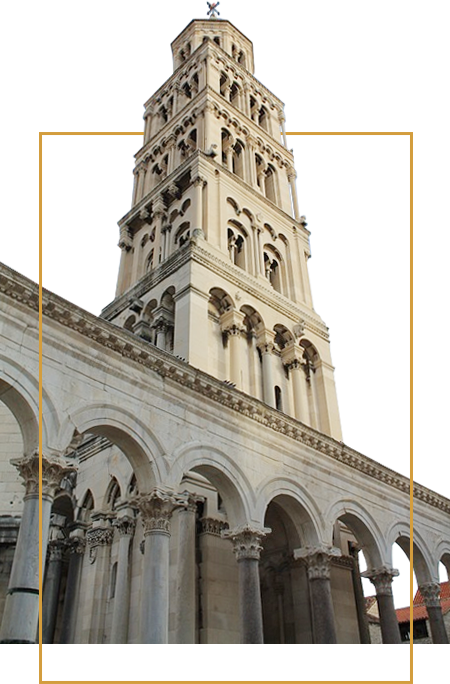 Diocletian’s Palace is but a few steps away, together with everything else Split has to offer: a farmers market and many supermarkets, a variety of restaurants, bars and nightclubs; many beaches, historical highlights, museums and so forth, as well as the harbour and the main railway and bus stations. What is more, Split’s most famous, iconic park Đardin is at a 30-m distance from the building; there, near the Golden Gate, you can also find the imposing statue of Gregory of Nin by world famous sculptor Ivan Meštrović, welcoming you into the Roman palace. The Croatian National Theatre, as well as the main shopping street, are just a short walk away, along Sinjska street.